Vintage shoes by the great Salvatore Ferragamo made for stars of Hollywood’s golden age are to be re-released as a capsule collection by his high-end brand alongside an exhibition of the work he performed in Santa Barbara, California, between 1915 and 1927. The original 1920s shoes were made for the likes of Clara Bow, Rita Hayworth, Ava Gardner, Gloria Swanson, Joan Crawford and Mary Pickford. “Against a backdrop of Italian immigration to that territory, and that of Hollywood, which was about to become the world capital of cinema, the story is told about characters who already in those days were enveloped by a mythical aura, figures like Enrico Caruso, Lina Cavalieri, Tina Modotti, and Rudolph Valentino; epic films like Cabiria, Romola and Ben-Hur; the Star System; the important role played by Italian musicians, the birth of jazz; and, lastly, the many Italian immigrants who, like Salvatore Ferragamo, made an essential contribution to the creation of Hollywood,” said the Salvatore Ferragamo museum that is hosting the exhibition. “I captured virtually the entire theatrical trade, and my shoes were on the feet of the most fabulous movie stars in the world, on the feet of dancers, on the feet of dancers, showgirls, bit-players, directors, and producers,” said Ferragamo in his autobiography. Ferragamo’s choice was a girl desperate to break into films by the name of Joan Crawford. She started a lifelong friendship with Salvatore and the shoe brand followed her throughout her success. 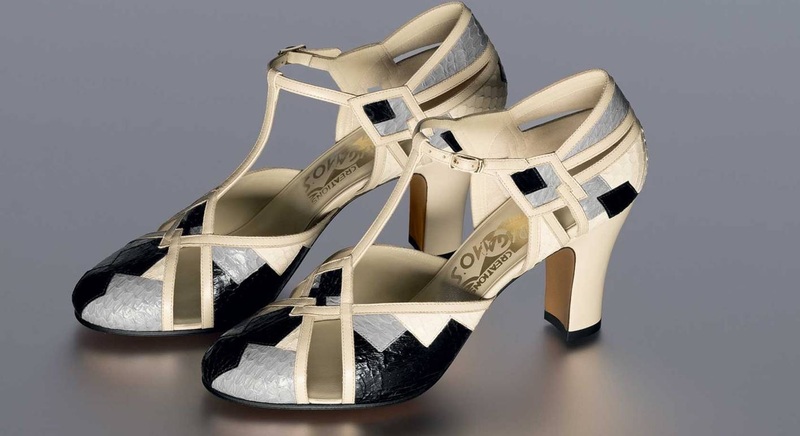 A leather T-strap shoe with a kidskin heel, the Foxtrot sandal was awarded a patent in 1933 and became a classic 1920s shoes style. The closed-toe suede shoe with a toe-cap and double calfskin straps of the Assoluta reappeared throughout the designer’s career. 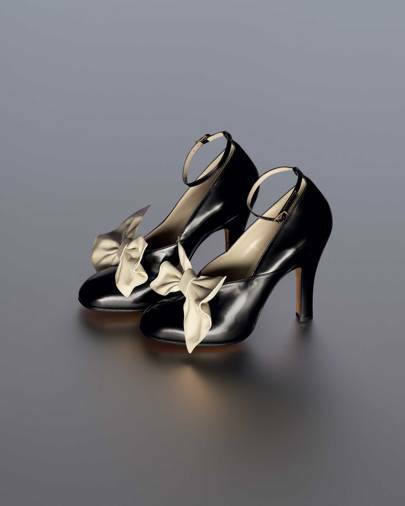 According to Ricci Gloria Swanson “was one of the most important clients for Salvatore Ferragamo… he created the corkscrew heels studded with imitation pearls especially for her.” The Bella style is a black brushed calfskin pump decorated with a Nappa leather bow and was worn by Swanson in Raoul Walsh’s 1928 film, Sadie Thompson. These two-tone oxfords were made for Rudolf Valentino, although without his original last the museum researched original documents in its archives to recreate the shoes. The exhibition opens May 24 and runs through March 10, 2019. All the shoes will be displayed in the exhibition and retail concurrently.